These hot, fudge, chocolaty brownies in the slow cooker will make oven-baked brownies seem like a difficult old story. After trying this heavenly dessert which was so easy to make and turned out to be so perfect now i think i can easily make some brownies for the birthday parties at home. 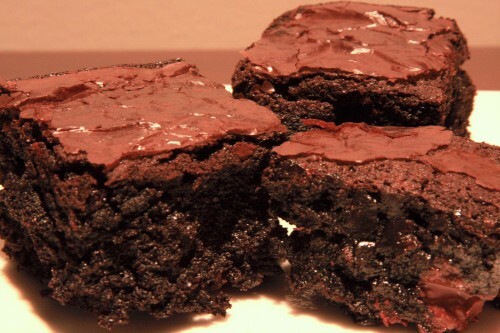 These moist velvet brownies melt in your mouth without any effort to chew them. That’s the magic that only a crock pot can do! You can serve them in breakfast or easily prepare them for a grand party, forgetting about it once left in the slow cooker. Add to its richness by serving a dollop of ice cream along. 2 tablespoon oil for greasing pan. ¾ cup whipped cream for topping. Combine butter, sugar, chocolate, eggs, vanilla, baking powder, flour, salt and milk in a bowl. Whisk well. Grease the dish and spread batter in the slow cooker. Separately mix brown sugar, boiling water and cocoa in mix well. Pour over batter. Cover and cook on low heat for 4 hours. Turn off slow cooker and let sit in slow cooker till it cools down.